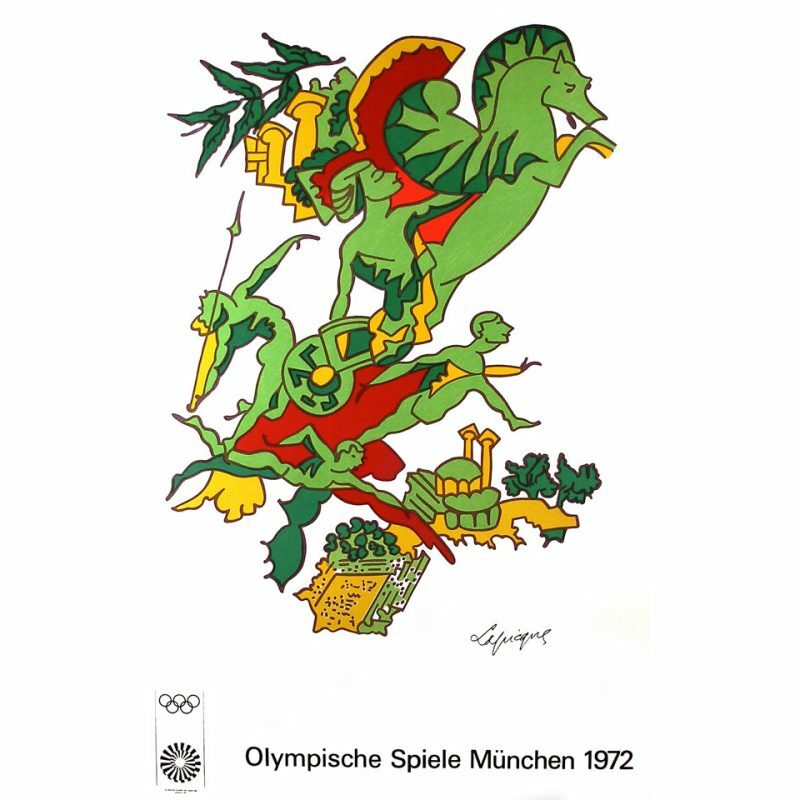 Class 3 Reproduction "Edition Olympia 1972 GmbH" "Edition Olympia 1972 GmbH" Condition: Light signs of handling. Captures the olympic spirit while adding a comtemporary flare. The print allows the vibrant color to be sharp and stand out.